Win A Free Unicorn Coloring Book: For Kids Ages 2-4 | FreebieOrBust Freebies! Do you have a wish list of products available at top retailers online? We want to make your dreams come true, with our fantastic sweepstakes giveaways! Do you dream of being a sweepstakes winner – securing your share of fantastic prizes? 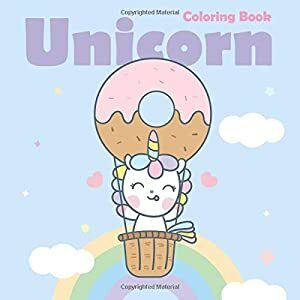 Unicorn Coloring Book: For Kids Ages 2-4, 4-8. The odds for this one are: 1:600. There are a total of 1 prizes available. Offer hosted by Amazon and Maria Smirnova. Join today and gain access to thousands of sweepstakes deals! Do you want to see more fantastic giveaways? Bookmark our site for easy access to the world’s premier sweepstakes platform.